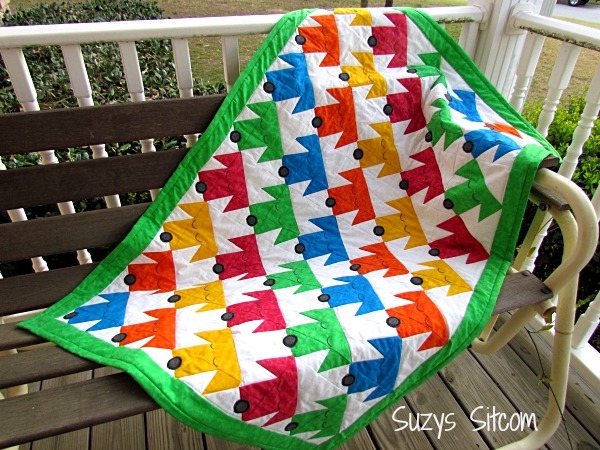 Introducing the Sleepy Puppies Quilt Pattern! My latest quilt pattern made especially for the younger set is called Sleepy Puppies! In need of a unique and personal baby gift? Or maybe something very cute for your toddler’s bed? Sleepy puppies baby quilt is a perfect shower gift for a new baby! The bright colors are non gender specific and brighten up a baby’s room! 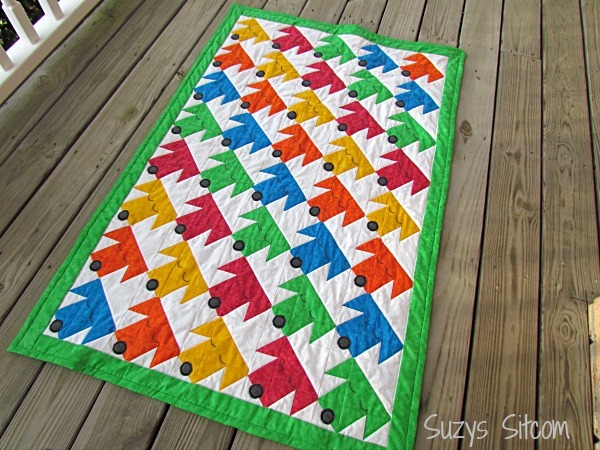 The twin size quilt will brighten up your child’s room! Imagine their smiling faces when they realize they get to sleep with lots of brightly colored sleeping puppies! 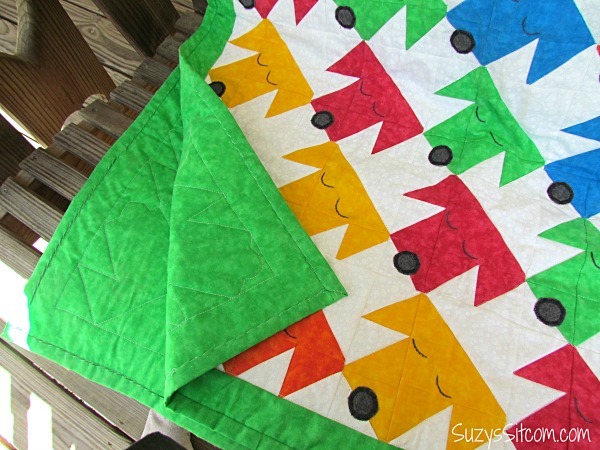 This simple pattern is easy enough for a beginning quilter to tackle! 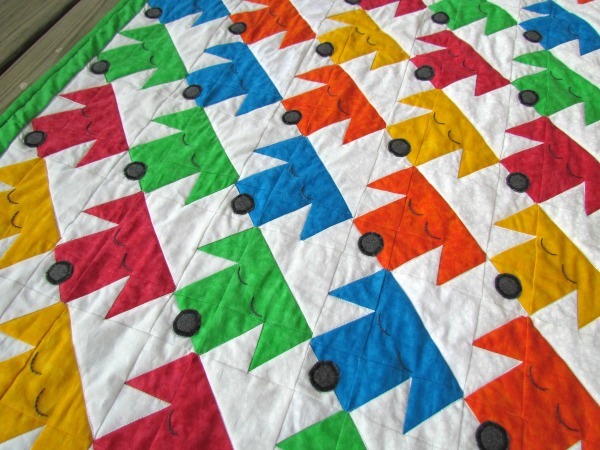 A more experienced quilter can easily finish this quilt in a weekend. Pattern is a twelve page, fully illustrated pdf document that is sent to your email upon payment! Or…you can purchase the kit! 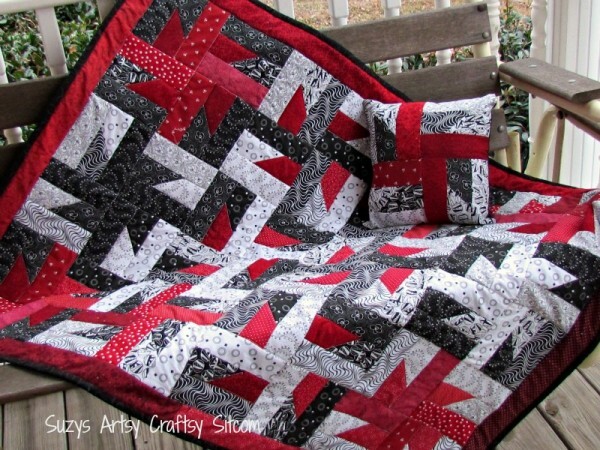 Just as I did with my previous quilt pattern series, I am teaming up with Patricia from Discount Sewing Supply to present to you a kit for making this beautiful quilt. Save yourself hours of work by having us do much of the cutting for you! This kit comes complete with all fabrics needed to make this adorable baby quilt. The kits are put together using only premium quality cotton quilting fabrics in bright shades of Green, Pink, Blue, Yellow and Orange, together with a tone-on-tone white for the top. The Baby Quilt size also INCLUDES BACKING FABRIC – you can select your preferred backing color from any of the five colors offered! The Sleepy Puppies Baby Quilt Kit is on SALE for $39.99 until May 31, 2014. 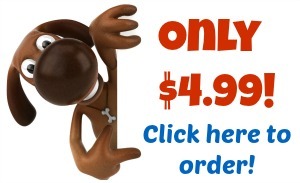 Price reverts to $44.99 on June 1. 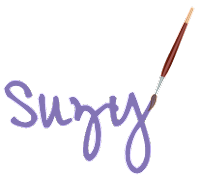 The kit includes all fabrics, backing, felt, embroidery floss, eye template, and complete pattern! The Sleepy Puppies Twin Size Quilt Kit is only $54.99 . The kit includes all fabrics (minus backing), felt, embroidery floss, eye template, and complete pattern! While you are there, check out our other available kits! 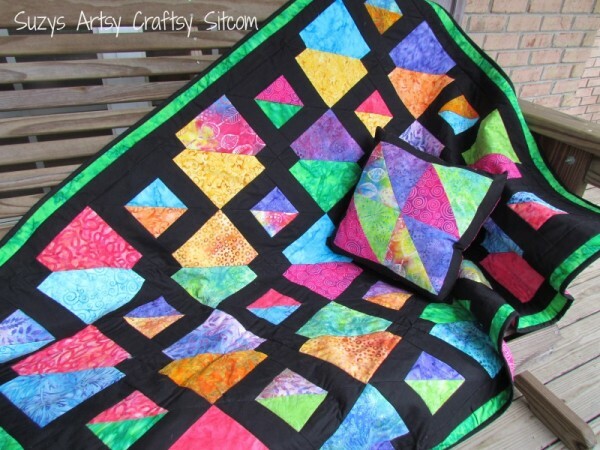 Windmills at Night Quilt Pattern Kit! 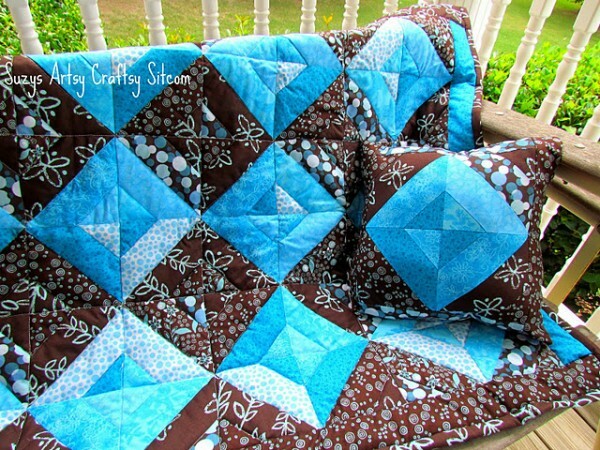 Summer Jewels Quilt Pattern Kit!